A "best practice" should be more than just one person's opinion. Indeed, it should be reasonable and prudent, less risky than alternatives, and widespread in similar circumstances. Some people may joke that they can make a practice into a best practice just by adding one word. I understand the cynicism many have regarding consultants in general and “best practices” in particular, and agree that many are pulled from thin air or vendor sales training. But I also believe that there are certain special ideas that do indeed deserve to be called best practices. Let’s set aside the sales tricks and foolish notions that some disguise as best practices and focus on more solid concepts. Hopefully, we can all agree that there are good ideas and bad ones, and that “best practices” should be a subset of the former category. Let’s go one step further and agree that it takes more than one individual’s good intentions and past experience. Best practices must draw from universal experience and judgement. 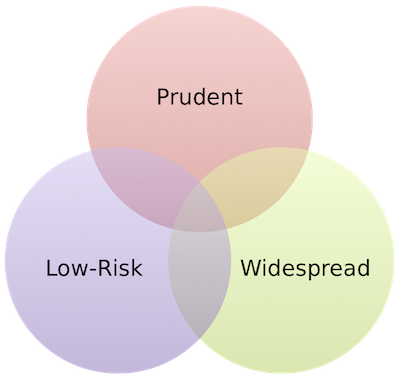 Is it prudent? Borrowing the Prudent Man Rule from finance, we ask: Is this something that a prudent person of discretion and intelligence would do? This simple question eliminates all sorts of oddball solutions. Is it widespread? It’s hard to argue that something rarely accomplished could be called a best practice. Cast aside untested ideas, no matter how good they look. Wait for someone else to risk their job. Is it low risk? Ask yourself, what are the chances and consequences of failure? It doesn’t matter if a solution works perfectly most of the time because only the failures will be highlighted. These three questions can inform both daily decisions and strategic direction. Although it wouldn’t be much fun to live life this way, this philosophy can help with the big questions. And none of us are being paid to tempt fate. It is true that one person’s optimal solution is another’s optimum mess, but what impact does this have on best practices? I believe that there are universal best practices that rise above the situation at hand as well as those that are only applicable in certain broad categories. And best practices are often set aside due to external pressures. Although best practices are not relative in general terms, some flexibility must remain. One of my favorite universal best practices is the maxim, “use the right tool for the job.” This has served me well from the garage to the kitchen to the data center, and I hold it as a cornerstone belief. But this does not stop me from turning a screw with a coin, and I don’t own a double boiler. Sometimes, everyone has to make do with what they have at hand, as illustrated in Chase Jarvis’ wonderful book, The Best Camera Is The One That’s With You. The fact that best practices must sometimes be set aside does not diminish their value. Indeed, one could say that practicality itself is a best practice! Who Really Cares What You Have To Say? The Internet gives everyone a voice, but who is really listening? This is a serious peril of many of the metrics we use to measure online success: Visitors and views are nice, but not every one is valid. It’s easy to fool ourselves and think that thousands of followers or friends means vast influence. But how many of these people really care what you have to say about a given topic? Very few. Visits – “The number of individual sessions initiated by all visitors to your site” within a 30-minute window. Re-visits by the same person after 30 minutes count as a new visit! Visitors – Identifiably-unique users visiting your site “during any given date range” are visitors. There is no standard time or date range, so one site might count visitors daily, while another might consider all-time visitors. Google Analytics reports default to one month. Pageview – A view of a page (that is being tracked) is reported as a page view. If a user reloads 100 times that’s 100 pageviews. Unique Pageview – “The number of (visits) during which a page was viewed one or more times” counts as a unique pageview. In other words, How often a page is viewed but with reloads and repeats by the same user during a 30-minute visitor removed. Time on site – How long a visit lasts is often considered a measure of site quality but can be misleading since many people leave many browser tabs open at once. Facebook – Although more social than business-oriented, Facebook is rapidly becoming “the Internet” to a large number of people, just like AOL way back in the 1990’s. Friends – Unlike Twitter, Facebook requires a mutual opt-in to become “Friends”. Some people are promiscuous with friend requests, others are more selective. See also LinkedIn Contacts. Likes – Akin to a retweet, a Facebook Like means someone noticed an item and opted to highlight it. Comments – More serious than a Like, a comment requires more engagement and thought. The same holds true of comments on other services, including Buzz and blogs. RSS subscribers – RSS is used by less than 15% of blog readers, but is essential to them. Subscriber stats (as tracked by FeedBurner and similar services) are often trumpeted, though re-shares in Google Reader or Buzz or on Twitter are probably better indicators of readership. See also podcast subscribers. Email subscribers – Email remains a prime means of interacting online for many users, and email subscriptions often produce better long-term engagement and repeat business. This list could go on and on, but one critical element is missing with most common metrics: Meaning. Does it matter if a blog post is “Dugg” 1,000 times? That’s certainly better than it being ignored. Does it matter if a YouTube view is viewed 1,000,000 times? That’s probably an indication it was infectious. But what result comes of it? Merely attracting attention is not enough – one must also engage with one’s audience in a meaningful way. Answering this core question of engagement is problematic at best. Who really cares about your message? How will you know if you have reached them? This question came up regarding EMC’s much-touted viral video campaign which included some questionable tactics to attract page and video views. A similar tempest is currently swirling around Silicon Angle’s claims that “200,000 viewers” watched their VMworld 2010 video stream. But these discussions too-often focus on the metrics instead of the core question: What metric should be used to demonstrate success? Since both of these examples are in the enterprise IT space, let’s look at that niche in reverse. How many people influence IT buy-versus-don’t-buy decisions? Most companies include a large IT staff, but only certain people are able to influence product selection. Given the choice between EMC and NetApp, VMware and Citrix, Cisco and Juniper, or Dell and HP, the decision lies in the hands of tens of thousands of people worldwide, not millions. They may be influenced by a larger audience susceptible to branding and advertising, but buying power is concentrated in the hands of this small group. Even the most interesting enterprise IT topics are truly relevant to just a few thousand individuals. A specialized blog or video could be considered a runaway success with just a few hundred views if every one was relevant and engaged, while millions of hits on another could result in little real impact. Let us consider Simon Long’s Gestalt IT post, Do I Upgrade to VMware Virtual Hardware Version 7? as an example. The fact that it has averaged 400 unique pageviews for months demonstrates that this topic is both relevant and vital to the VMware community. Each of these visits is worth thousands of casual clicks on a funny viral video! These visitors really care! It has always been frustratingly-difficult to measure marketing effectiveness. I was recently discussing the glossy-magazine age with a veteran IT marketer, and he was chuckling about their painful and imprecise metrics for advertising success. Circulation numbers were publicized and audited but who was to say how many readers were waiting on the other end? 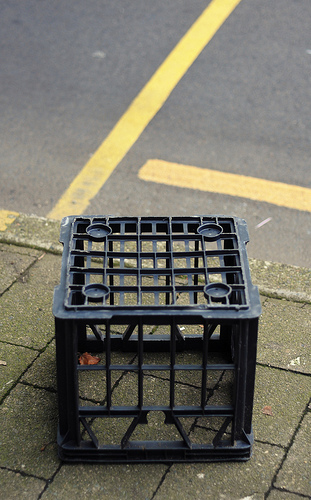 For every tattered and inspected issue of Byte there was another laying unread in a dumpster. Contests, special offers, and reader response cards were pretty much the best one could hope for in the printed age. Web metrics could be so much better. Services like Crazy Egg can even build heat maps, demonstrating user interaction with a web page’s elements. We are drowning in data but most are unable to extract real value from it all. Google Analytics doesn’t help, offering up only marginally-useful statistics by default. But the real problem lies inside each of us. Most marketers, pundits, and social media gadflies have only a passing understanding of web metrics and statistics, and only marginal interest in precision and disclosure. Many confuse ‘unique pageviews” for “visits” or use imprecise terms like “hits” and “views” when describing their success. We haven’t considered how we might measure effectiveness, let alone developed an ecosystem to measure and report it. And, unlike print publications, disclosure and auditing of circulation is rare. Many Internet marketers are happy with the status quo since it lets them confuse the market and tout success that might prove dubious if examined more closely. Others don’t care either way: The shotgun approach is so cost-effective that missed targets have no real impact. But solid metrics do matter, especially when money is at stake. Advertisers and sponsors should not accept wild claims that stretch credibility, and publishers should not be enticed to stretch the truth. I would rather support a site with a few hundred quality, engaged visitors than millions of casual surfers. I imagine most would agree. Much (virtual) ink has been spilled in praise and criticism of the phenomenon of viral videos that continue to sweep the Internet. Given the numbers involved, it is no surprise that marketers were quick to get in on the act. Companies eager to pitch potential buyers are eager to do whatever they can to make their message “go viral”, often by creating witty, amusing, and just plain odd video content to entertain the masses. An entire industry has sprung up to “seed” online communities with these videos, provide the tools to share them, and kick off an epidemic. But what do these “social media experts” really know about epidemiology? 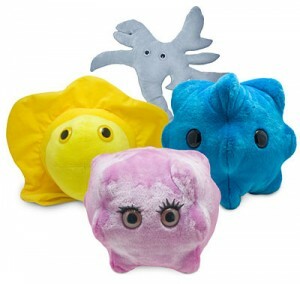 We humans are surrounded by viruses, bacteria, fungi, and other bugs (let’s annoy virologists and call them “germs”) on a daily basis, but only a very few make us sick. Similarly, online sites like YouTube are packed with videos, with more uploaded every day, yet only a few are viewed much. One factor in both cases is the inherent quality of the “bug”. Biological “germs” are effective only in specific environments. Most YouTube videos aren’t worth watching. So the first hurdle to starting an outbreak is to create something potentially infectious. Marketers like to fall back on the easy winners: Talking animals, cute babies, slapstick humor, celebrity appearances, popular songs, and the rest. A good potentially-viral video is like a good joke: It has to have a setup that pulls you in and a punchline that delivers. Most “viral videos” meet this definition, either by careful planning or serendipitous accident. Many corporate videos fail at this stage, with no potential to “go viral” from the start. Most are stoic and straight, inspiring little interest except for their intrinsic message. Too many contain lame attempts at humor or slapstick that come off as embarrassing or even insulting to the target audience – see Tom P’s excellent piece, Make ‘Em Laugh! But Be Careful… No video will gather many views unless it is compelling. But not all infectious agents cause an epidemic, just like most “viral content” languishes with very few viewers. People must act for infections to spread. Biological agents have developed amazing mechanisms to spread between hosts, enticing them to act and riding along as they move. The proliferation of “share this” buttons in the online world is just one of many mechanisms intended to spread content to others. Just like natural “germs”, marketers have tried to make it as easy as possible for viral content to be shared. Transmission is often dependent on the amount of work the host has to do: The easier it is to transmit a disease, the more likely it is to spread. One tactic employed by many (including Sharethrough) is the “seeded tweet”. A user watches a funny video or reads an amusing article and clicks “Share this”. The site then generates a canned Twitter message, complete with a description and shortened link, and even opens Twitter in their web browser. All the user has to to is press “Tweet” and the comment, link and all, is broadcast for their followers to see. Some sites, like myYearbook, make this simple, allowing marketers to embed their own suggested tweets, while others, like Facebook, contain sharing within their walled gardens. Effective transmission mechanisms should also enhance uptake in potential targets for infection. Taking another clue from biological agents, marketers try to make these messages as enticing as possible. Research has shown that the effectiveness of a headline has a great impact on viewership. 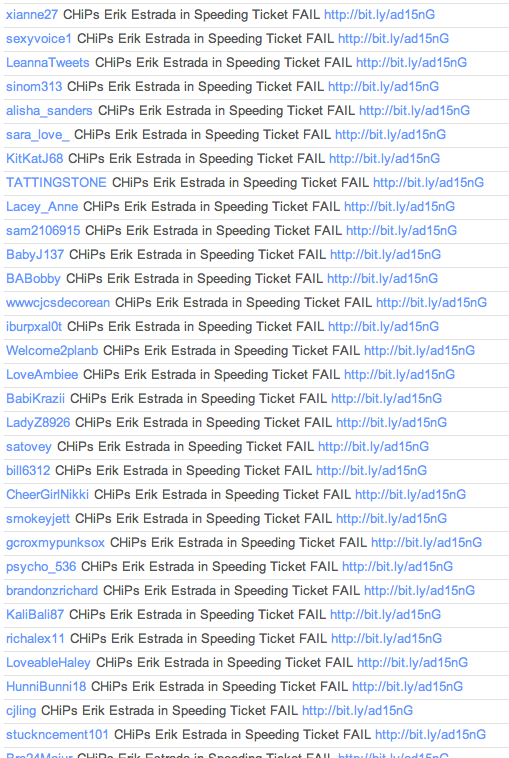 This is why, for example, Sharethrough’s message on behalf of EMC was “CHiPs Erik Estrada in Speeding Ticket FAIL” rather than something more descriptive like “YouTube speeding-ticket video touting EMC’s 20% guarantee”. Their chosen message includes nostalgia (CHiPs), celebrity (Erik Estrada), real-life (speeding ticket) and Internet meme (FAIL) – a veritable link-bait jackpot! A virus or video that is infectious and presented with a transmission mechanism might never spread without a susceptible host present. A tree fungus won’t get far in the desert, regardless of its inherent quality and constant winds to spread it. Similarly, a hilarious video advertising baseball equipment wouldn’t be very effective in countries where soccer is dominant. It might spread, but the intended result, the sale of bats and balls, would not be attained. This is where conventional advertisements so often fail. How many of us have catchy jingles memorized but never buy the product featured? I’m sure most of us can name a whole range of luxury cars, soft drinks, children’s’ breakfast cereals, and feminine products that we would never consider purchasing. The infectious agent reached us but we were simply not susceptible to it. Unlike the biological world, where a virus doesn’t “care” which type of host it infects, marketing is all about targeting potential customers. Children loved the frogs and dogs used by Budweiser to advertise their beer, but (hopefully) were not much of an influence on beer-selection decisions. This is doubly troubling to the business-to-business marketing professional. Potential buyers are few and far between, and successful campaigns will result in many puzzled non-buyers for every interested prospect! Advertising, like biology, is naturally limited by the effort involved in spreading an agent. Ad buyers must carefully weigh the cost of placing a spot against the potential reward of generating a sale, knowing full well that they will miss their target some percent of the time. This cost/benefit analysis plays out constantly, with general-audience products (soft drinks, snack foods, and the like) featured widely and vertical solutions (enterprise storage arrays) often consigned to specialized outlets. Yet, odd pairings often make sense. Advertisers learned long ago that middle-age women and young children often watch television together, resulting in cross-polination of ad content between cartoons and soap operas. And sometimes it makes sense to cast an extremely wide net in hopes of catching one or two very big fish, explaining ads for web hosting and other business products during sporting events and at airports. Although most viewers will scratch their heads, a few potential buyers offset the cost. Another factor to consider is that public companies have a secondary product to sell to a broader audience: Their stock. While their ads are primarily intended as an appeal for sales, they also serve to demonstrate to the general public that they are successful companies worth investing in. Although assessing the motives of an advertiser may seem difficult, it is actually exceedingly simple. Rest assured that the buyer performed a cost/benefit analysis and determined that the value of that particular placement exceeded its cost. Their analysis may prove incorrect, but their motives are simple. This morning I demonstrated an inept marketing “experiment” by AlterSeekers gone awry for EMC. It involved comment spam on some of the best-known enterprise storage industry insider blogs and EMC cut it off quickly. But this analysis turned up something else rather peculiar: An apparent hack on teen chat site myYearbook to spam video links on Twitter and generate views and buzz. Amazingly, EMC are again involved. Is this another face of this morning’s off-the-rails experiment? While exploring the fascinating world of link spam, I happened across the Twitter account of @LisaValentineNY (not linked), probably an AlterSeekers employee. I noted that the only thing she had posted recently were spammy @replies to Twitter users advertising Crucial-brand computer memory. Every reply included an odd trademark character (indicating a cut-and-paste job) and used the same bit.ly link, one created with the account of AlterSeekers employee Brent McLean. Clearly, Crucial was involved in the same type of anti-social marketing campaign as EMC. This got me thinking. I remembered seeing some EMC videos tweeted recently, one involving former CHiPS star, Erik Estrada and another with pro golfer, Billy Andrade. They were somewhat amusing, but EMC, being an enterprise IT company, isn’t really a general audience draw. So I wasn’t surprised to see just a few thousand vides. Yet a glance at YouTube this morning shows an amazing 215k and 413k views for these videos. Either EMC’s videos really did go viral or they were wrapped up in this nasty spam business as well. Either a hundred random users decided to tweet the exact same message and link to their followers or something fishy was going on here. No one included the EMC name (which is included in the YouTube listing), only the general-audience Erik Estrada and CHiPs references. The tweeters were not the usual enterprise IT folks one would expect, judging by their cutesy names. I picked a few at random to see who these EMC fans were (try it yourself!). They appeared to be teens posting teen-speak including quotes, photo ratings, and Q&A. In most cases (that I looked at), the users had never tweeted using any client other than “myYearbook Share” which appears to be a Facebook clone that links to social media accounts, including Twitter. But each account also included a few exceptionally odd tweets. Along with the myYearbook junk were these spammy links to EMC’s videos. And lo and behold, most also included links the same Crucial Memory video being spammed by Lisa Valentine! What could be going on here? This is truly weird. If myYearbook was inserting “sponsored” tweets along with their users junk, one would expect it to also come from the “myYearbook Share” client, too. But, without exception, these spam links came from “web”. This was especially notable for the (many) users who had never posted anything from the web client, and it smells like a hack. 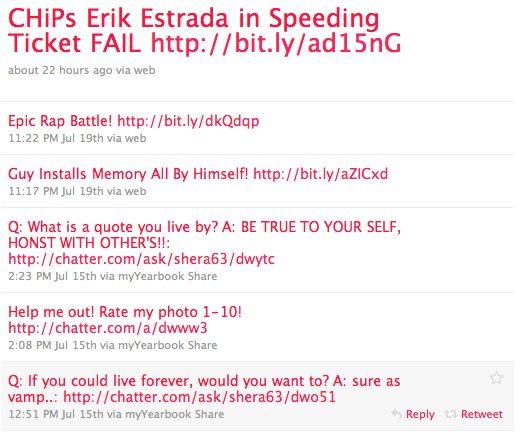 It really isn’t credible that these random teens all decided to tweet cut-and-paste links to EMC and Crucial videos. And it really isn’t believable that they all decided to use the web client for the first and only time to do it. Either they were enticed to do it (“win a contest?”) or someone or something is posting “on their behalf”. Either way, this stinks. 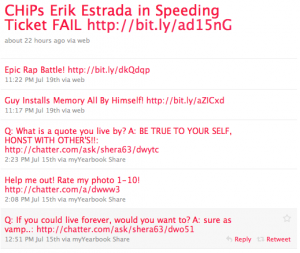 Perhaps myYearbook has been hacked and someone is using users’ passwords to post these links. Perhaps the company is in on it, though there seem to be few complaints about them. Or perhaps someone is harvesting Twitter accounts from myYearbook and getting the passwords from somewhere else. Regardless, someone is doing something naughty here! Although Crucial and EMC are linked through AlterSeekers, I’m not sure they’re responsible for these tweets. There are a few links found in many of these users’ suspicious tweets, and all were created with the bit.ly account of another company, Sharethrough (not linked). Calling itself “The Leading Social Video Seeding Platform For Top Brands And Agencies”, Sharethrough appears to be some kind of viral marketing machine. But it’s unclear if they’re responsible for all this spam, either. At the end of the day, responsibility lies with the companies that are benefiting from these shenanigans. Each of these companies must investigate upstream to discover what their providers are doing on their behalf. And each should inform all of us about just what is going on! And it all started with a spam comment on my blog. Assuming he’s being straight with me (which I do) there was no hacking or underhanded chicanery involved in these tweets. The users shared them on their own accord. This explains why they all have identical text and bit.ly links as well as the odd “via web” source. He suggests that TechCrunch, Mashable, and others do the same. Let me be straight: I have no problem with banner ads in general (as long as they’re not misleading) and jumped to the wrong conclusion about Sharethrough. But the core question remains: Why would an enterprise-focused company like EMC to promote their products with viral videos that apparently appeal mainly to teens? The CHiPs video was “liked” 23 times, “disliked” 10 times, and drew 22 comments with almost 250,000 views. The Andrade video has almost 415,000 views but only 25 “likes”, 6 “dislikes”, and 44 bizarre mostly single-word comments. If these videos really appealed to people, wouldn’t they be commenting more? And if they were really hitting their target, wouldn’t the comments mention something (anything) about EMC or its products? Setting aside the issue of whether or not the method promotion is valid, surely the result isn’t what was desired. I return to my closing statement from the previous article: Isn’t fresh sushi better than canned spam? This morning, someone left a comment on a 10 month-old blog post about EMC Corporation’s products over at Gestalt IT. Although the writer, “Brian,” identified himself as “EMC Social Outreach Team”, the short message seemed somewhat spammy, including a bit.ly link to one of that company’s marketing promotions. Further investigation reveals what looks to be an inept social media marketing maneuver by “integrated sales promotions” firm, AlterSeekers. Let’s use it as a case study in how not to do social media marketing. There aren’t hard and fast rules, but most agree that honesty, credibility, and real human interaction are critical for social media. No one likes talking to a robot, and we hate being spammed by them. But not all robots are mechanical: Many companies are hiring outside firms to spread the word about their products and services with real human agents. Some are laughably inept (like the dozens of poorly-worded comments posted to my blog from “Ugg Boots For Sale” and “Nike Air Force”), while others are probably fantastically well-executed (and thus unavailable as examples). Skill aside, it is the intent of a comment or other social interaction that determines its quality. Blog comments are intended for discussion of the issues presented in the blog post. Links to other sources are perfectly acceptable if they advance the discussion, and the conversation often takes a turn into unrelated areas. None of this is a problem. Simply put, this is the essence of social media. Imagine you are having a conversation in a public place and someone stops and joins in. You wouldn’t mid if they were really interested, and would probably be pleased if they had some special insight or suggested you talk to a friend in the business. But what if they stopped by, pretended to be interested, but instead were being paid to interject an advertisement for the sushi place across the street? Even if your conversation centered on sushi from the start, the stranger’s intent makes their intrusion unwelcome. Now let’s turn to the comments by “Brian.” The post at Gestalt IT was written in September, 2009 and is an exploration of EMC’s plans unifying their storage array platform. It was pretty popular last Fall, and one of the authors eventually went to work for EMC. But readership has declined since, and no one had commented in nine months. This short comment is not a contribution to the discussion. “Great thoughts on EMC” can be translated as “this post is about EMC but I have nothing to add to it.” The rest is an advertisement, plain and simple, for a marketing campaign centered around EMC’s “20% capacity advantage guarantee.” The fact that they used bit.ly to shorten the link proves this – they’re tracking clickthroughs with it! One positive element of the comment is the identification of “Brian” as a member of “EMC Social Outreach Team.” This is much more transparent than most spammy comments, and shows that the perpetrator was more inept than devious. But the fact that the Disqus profile belonging to “Brian” was not filled out was less than transparent. So who is Brian and what is the EMC Social Outreach Team? A quick check on his (unclaimed) Disqus profile reveals that “Brian” made similar comments on seven industry blogs. All but the one on Gestalt IT contained unique human-written and readable commentary, but none was in any way insightful or related to the discussion at hand. And all included that same bit.ly link. This, and the fact that “Brian” hadn’t commented anywhere else, is clear proof that this was advertising and nothing more. Happily, bit.ly link statistics are open to the public. 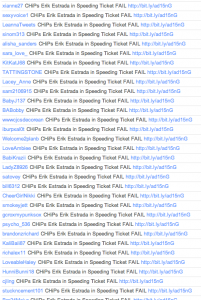 A quick run over to the tracking page for that link (http://bit.ly/ao57rm+) reveals that “Brian” got 35 clickthroughs in his short career as a comment spammer. Not great. It also reveals a tracking parameter in the URL, “SOC-UNIFIEDGUARANTEE-Social”. Finally, it shows that “Brian” used a bit.ly login belonging to “amberbragas” – now we’re getting somewhere! Jump over to the AlterSeekers web site (not linked) and one is greeted with a flash header featuring a photo of none other than Amber Bragas! Considering the mission of AlterSeekers, the connection to IT industry companies, and the bit.ly connection, I feel safe in assuming that “Brian” is actually a spam bot employed by this company to drive traffic to EMC’s guarantee. He could even be AlterSeekers employee, Brian De La Torre. I’m going to guess that this was a “proof of concept” pitch by AlterSeekers to win EMC’s business. There is one click from July 16 (perhaps a demo), then more clicks and comments starting on July 19. Similar comments were posted by “Marlon” (De Jesus?) and “Justin“. It would appear for the offending party searched Google for “emc unified storage systems -oracle“, an amusing construct that reveals the intent of the perpetrator. Why exclude Oracle? They left a comment as “Brian” or “Marlon” on just about every blog post that search returns. The visitor came from Port Washington, New York (home of AlterSeekers) and the IP address traces as “alter seekers inc.” I guess we can be pretty certain who the guilty party is! Whoever Brian is, he’s not part of some “EMC Social Outreach Team”, nor is he “making authentic connections with your customers.” He’s spamming blogs with tracked marketing links. And he’s also apparently out of a job. ‘Nuff said, Chuck. EMC is really astonishingly good at real social outreach. They don’t need this pathetic and spammy “social outreach” by a third party. Chuck quickly took responsibility and shut it down, demonstrating the correct approach to this sort of thing. Social media is about being genuine and, well, social. You can’t hire an outsider to do this for you. Your customers will see through inept attempts to “join the conversation.” As AlterSeekers own web site notes, one has to make “authentic connections” not post transparent blog comment spam. This is the core problem facing so many “social media marketing” firms. They employ people who aren’t part of the conversation, use inappropriate metrics, and try to entice non-genuine behavior. Regardless of whether you sell flowers, cars, or IT equipment, you cannot outsource the conversation. You must rely on genuinely engaged and authentic commentators. One must also consider the goals of this sort of campaign. Clearly, AlterSeekers was trying to entice people to click through to that one link. When social media goals focus too narrowly on a single specific action, they tend to look like spam and go off the rails. Goals should be broader, guiding the conversation and spreading the message rather than just taking a single (albeit measurable) action like clicking a link. Returning to our example of the street corner conversation, what if the sushi restaurant encouraged sushi lovers to spread the word about their love of sashimi? They would undoubtedly encourage more sushi eating! And what if they offered discounts or supported a sushi club? They would drive real traffic and, more importantly, a devoted audience. Fresh sushi sure beats canned spam! 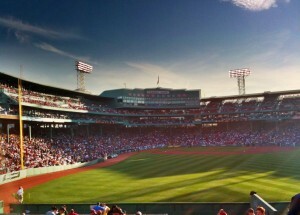 Baseball may seem inscrutable to the uninitiated, but it’s like no other sport to us true believers. And, as I’ve told my little-leaguer son on many occasions, baseball can teach a whole raft of lessons (and vice versa). I guess nine innings gives everyone a chance to ponder life, so I decided to jot down my own list of nine business lessons I learned from baseball. 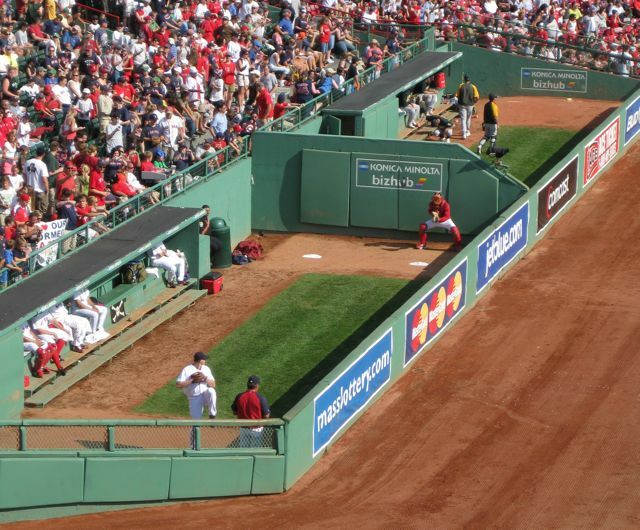 Newcomers to baseball are always shocked to learn that each ballpark has its own local rules, right down to the dimensions of the outfield. Once they become familiar with the game, they are similarly amazed to see how a few rule changes alters the style of play between the American and National Leagues. Life is like that, though. Each of my customers has different expectations, and what is fine for one might be off limits for another. It’s up to each of us to adjust to the local style and make the most of it. As enforcement of sporting rules and regulations becomes increasingly high-tech, baseball stands with international football as stalwart believers in the on-the-field call. Sometimes you get away with mischief; sometimes the call goes against you. You can argue and holler, but that’s going to get you ejected in short order. The best strategy is to roll with the bad calls and move on with the game. Which brings us to lesson number 2: The next play can change everything. Daniel Nava hit a grand slam on the first major league pitch he saw. The Red Sox got creamed by the arch-rival Yankees in the 2004 American League Championship and were three outs away from elimination when the winds shifted. Eight straight wins later they were holding the World Series trophy for the first time since 1918. It’s important to remain faithful to the cause and believe you can win. Resurrection is possible if you make the right plays. Just ask Steve Jobs and the rest at Apple! Patience at the plate is a singular virtue for baseball success. It’s tempting to swing at everything that comes your way, hoping to connect with something, but it’s wiser to check your swing. Hitting in baseball is a psychological exercise, with the pitcher (and catcher) trying to guess what the batter will swing on. There are plenty of similar situations in life; not all opportunities are equal. Give each a good look, back out when you need to, but be ready to swing when something comes right down the middle! Pitching a baseball is all about mechanics – controlling the body and completing the full pitching motion is critical. There’s even a penalty for a “balk”, or stopping part way through. Many have said that life is all about showing up, and business is like this too. Either step aside and regroup before you start or complete what you have committed to. Managers and coaches are like poker players, pondering what they have and considering their options. The regular major league baseball season includes 162 games and stretches across half the year, allowing plenty of time for players and teams to overcome a slump or injury. General managers have four months to tweak their lineup, trading and dealing to get a better team. But the coaching staff has to make the team work no matter what they have. I see the same dynamic playing out in business, with the board swapping executives in and out while the staff tries to get their work done. But there comes a time when the board must back off and let their team play. It’s rare for a baseball player to appear in every game, and even superstar pitchers can only start once or twice a week. 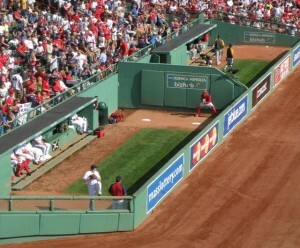 Baseball requires a reliable team on the field, in the dugout and bullpen, and in the back office. The greatest mistake a manager can make is spending too much on a just few great pitchers or sluggers and hoping their brilliant play can make up for everyone else. A wiser choice is to put together a whole staff of under-valued over-achievers who want to play and win. One of the biggest changes in the modern game of baseball is the increasing use of specialist relief pitchers. Managers like Tony La Russa staffed their bullpen with specialists for each situation and inning, noting that the requirements changed as the game progressed. There is some controversy about over-specialization, but adaptability to changing situations is certainly a formula for success. The game changes as time passes and the final inning nears, and a good manager will shift his team to maximize success. This is the most important lesson of all. Even the best batters strike out half the time, and even the best teams in history lost a quarter or more of their games. 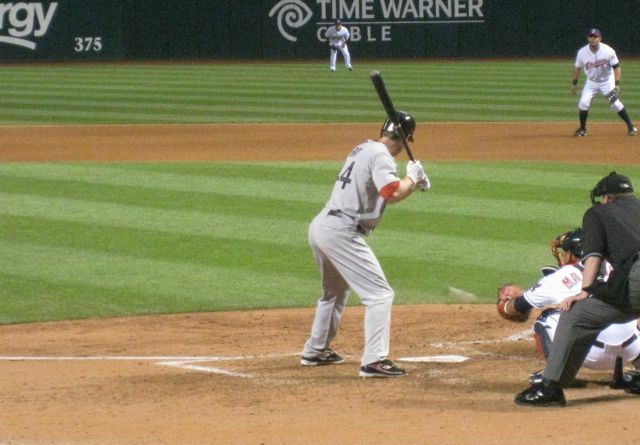 Baseball will never see a no-loss season like the 2007 Patriots, and neither will life. We must work hard, play to win, and dust ourselves off and try again when we lose.